therapy | The Shiatsu Guy Team! 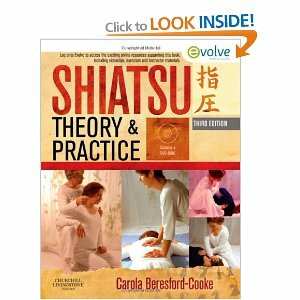 So if you’d like to grab my wee Shiatsu Report for free then please do. Some things to look out for when choosing the right Complementary Therapist for you. How to find the best solution to your particular situation. Finding the right therapist for you is an important process and needs to be considered carefully. You will be entering into a relationship with your therapist that in some ways is more intimate than with anyone else, you will potentially be dealing directly with physical, mental, emotion and even spiritual energies, and ideally transforming them into a healthier state. We all have our individual tastes and different needs when looking for the right massage therapist or CAM practitioner to work with. Here we will look at some common considerations when choosing your complementary therapist. What do you hope to achieve from the treatments? This will depend on your particular situation in regards to your health, stress levels and other reasons for wanting to have treatments. If you have a long-term condition you may simply want to gain some on-going relief and will therefore be looking for a long-term relationship that suits you and your therapist. Alternatively you may be dealing with some acute stress, recovering from an injury, illness or surgery, or looking for a performance boost before a special sporting event, perhaps trying to deal with nerves before a big business meeting or conference or maybe you’re wanting to feel better in other areas of your life. In these cases you would need to consider what would be most effective to deal with the situation. This can simply be a question of who you are more comfortable with, or could come down to what is more appropriate for personal or religious reasons. Or you might choose your therapist based on the qualities of the gender in regards to the style of therapy you choose, depending on the energy involved (you would expect the big, hulking guy to provide the best Thai Yoga Massage, but it seems the tiny Thai lady is uniquely suited to inflicting the most pain). This is very much down to personal taste and will vary from individual to individual and situation to situation. Which you choose will generally depend on your situation in regards to time, location, space and money. This really comes down to cost or convenience; if you’re busy and can afford it, you might decide to have someone come to your house or business, you’ll pay more but the time saved will surely be worth much more. Alternatively visiting a regular clinic may keep the costs down, as the therapist can see more people in a day, making their practice more efficient. Which therapy Style you choose? This will be a mix of personal preference and your intended results. If you are mainly seeking therapy for enjoyment, or experience, you may choose the style that you like the best, simply because it is pleasant or interesting. Or you may have very specific goals in mind, to rehabilitate a bad back or other damaged body part, to deal with stress, to gain flexibility and mobility, to improve sleep… there are a huge and growing list of ailments and conditions that can be helped with different complementary therapies and forms of body work, so you may have to do some research into the various styles to find out what works best for your condition and what you personally resonate with the most. If you have the opportunity I’d recommend trying the different styles that appeal, even if you’re not familiar with them, and even trying different therapists within a style, to make sure you really find the best person to treat your particular situation.